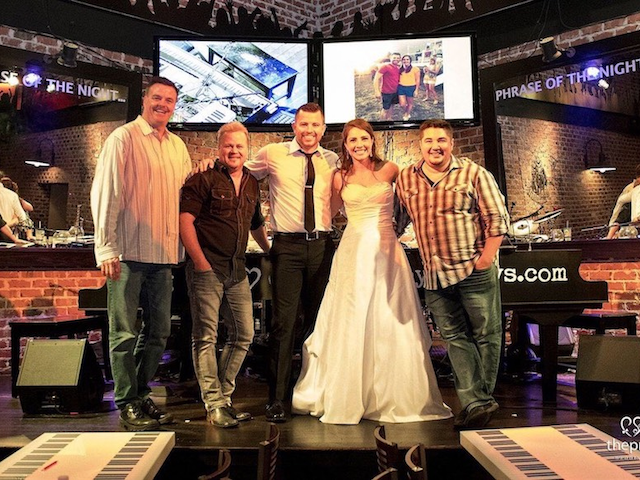 There isn’t a better way to say “I love you” than by bringing your special someone to be serenaded at Bobby McKey’s. Come spend your anniversary listening to talented musicians playing the soundtrack of your memories. Request your favorite songs then sing the night away in remembrance of your special day. Aaron Hoffman finally had his opportunity. After developing a massive crush on a beautiful brunette named Kelly and worshipping her from afar, he finally worked up the courage to ask her out on a date. As he popped that first question, staring into her eyes, the answer was “yes.” Jubilation, butterflies and all those lovely feelings filled his heart. All he had to do now was plan the perfect first date for his perfect girl, no pressure at all. It had to be something out of the box, but comfortable. Somewhere they could connect but would leave a lasting impression of just how awesome a guy Aaron really was. He decided the best chance of wowing Kelly was a night out to National Harbor as it had everything he could ask for in a great first date. To start, a fancy dinner at one of the Harbor’s many restaurants to set the mood. Then, the literal show-stopper: a table reservation at Bobby McKey’s, where they’d sing and dance the night away to their favorite songs. “Foolproof and fantastic,” he thought. Aaron was right. The night went well. Very well. Aaron and Kelly sung their hearts out together, laughed at each other’s dance moves and had such a good time they agreed to do it again soon. It was the start of a blissful five years of dating that brought them back to Bobby’s on dates and with friends many times. After he popped the second, slightly more important question and became engaged, they both instantly knew how they wanted to celebrate. 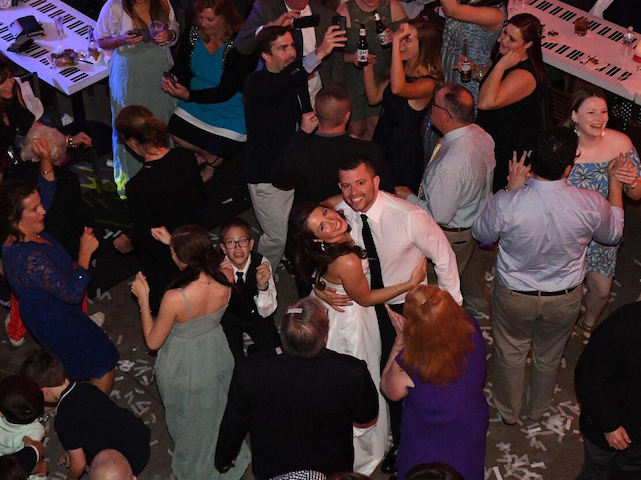 On May 28th, 2017, after a stunning ceremony overlooking the Potomac, Aaron and Kelly rented out the whole venue and invited everyone they loved to share the feelings of fun, excitement and sheer joy they experienced on that fateful first date. Bobby’s offered a one-stop shop for their flawless evening. They provided delicious food that their guests raved about for weeks, the staff to handle all of the details so they could relax and enjoy, and of course, the all-request live show that got everyone on their feet to party into the wee hours of the night. It was a perfect, full-circle ending to a fairytale romance that revolved around fun. 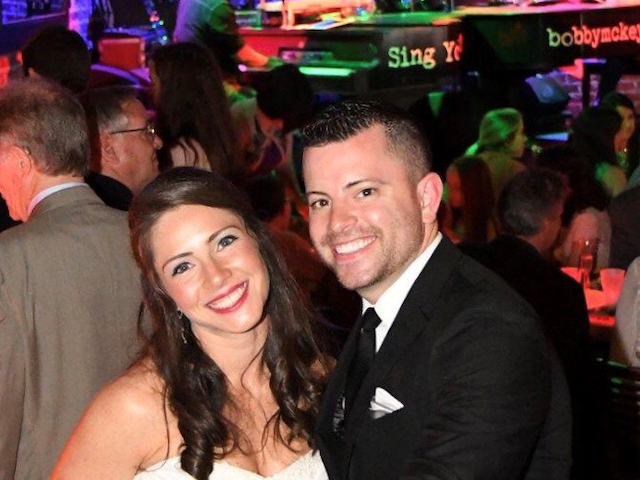 So the next time you see these two lovebirds bopping away at the bar, buy them a drink and raise a glass to the power of love and live music.